Jakarta was a place that I felt I never really figured out. The massive city seemed to have high rise buildings and central areas extending in all directions. It seemed like after driving throughout the city you’d at least passed through all the main districts. Then each time I went off to explore more of Jakarta I came across entirely new places. 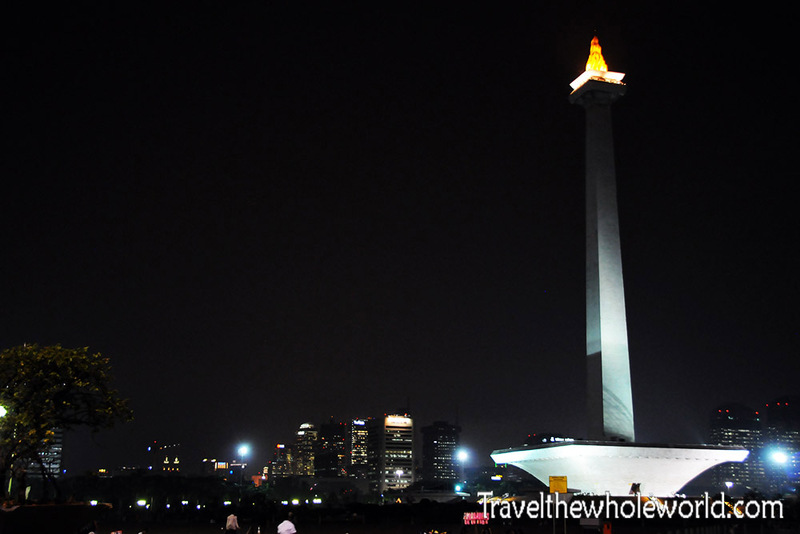 I at least know that the Monas tower is one of Jakarta’s most famous landmarks, so maybe this is the true city center! 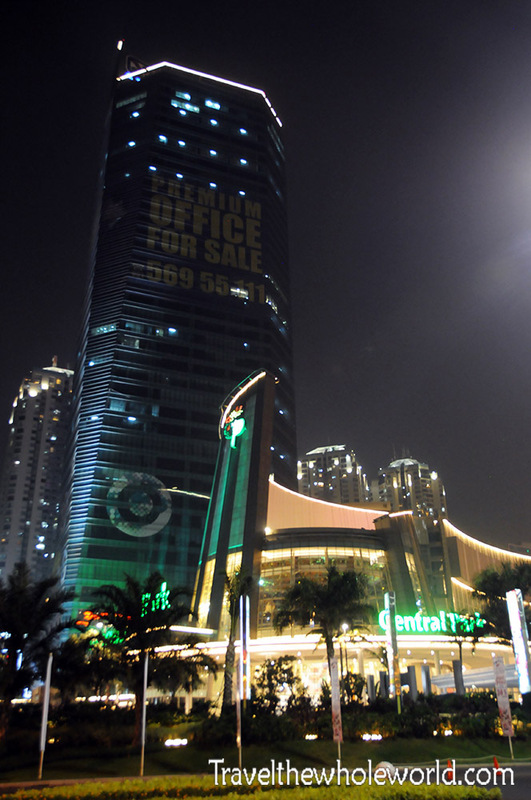 Jakarta is by far Indonesia’s largest city, and one of the most densely populated places on the planet. 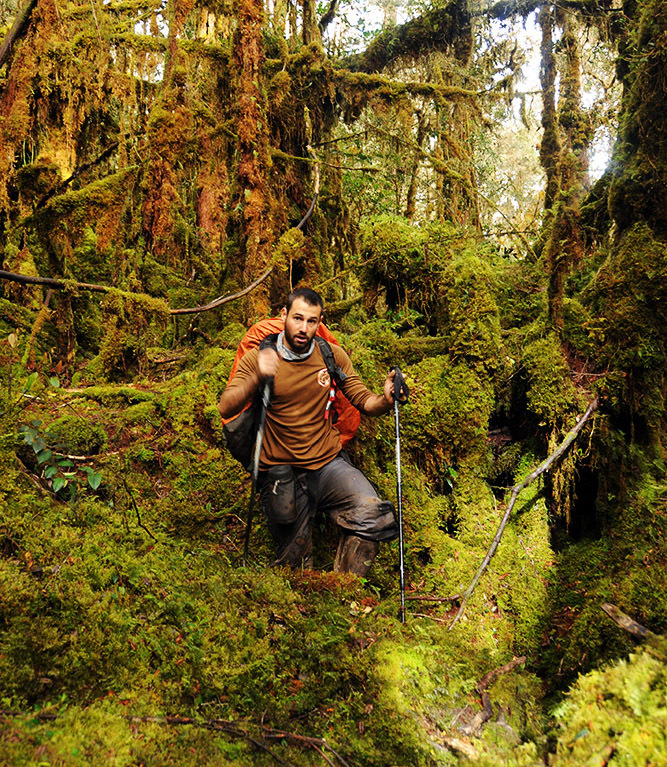 You can find just about everything you can imagine here, from luxury to extreme poverty. As someone traveling, you’ll likely have no need to visit some of the poorer neighborhoods of the city. You’ll likely pass by new modern high rises like in the photo above, while just a few blocks away you an come across some not so nice areas. Indonesia is the world’s most populated Muslim country, and with Jakarta as its largest city you can imagine how densely populated it is. Jakarta is known for for having some of the worst traffic in the world. As a matter of fact, when I visited wifi wasn’t as common in most places outside of cafe’s and hotels. In Jakarta there were taxi’s that offered a sort of mini office in the back in order to allow customers take video conferences. The traffic was so bad it allowed businessmen who sit in traffic all day to continue to work. 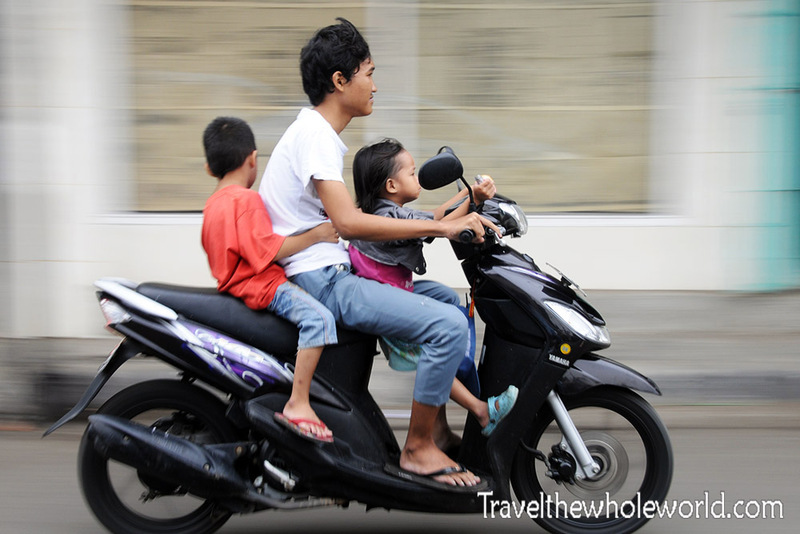 The majority of Indonesians get around via motorbike like in the photo above. 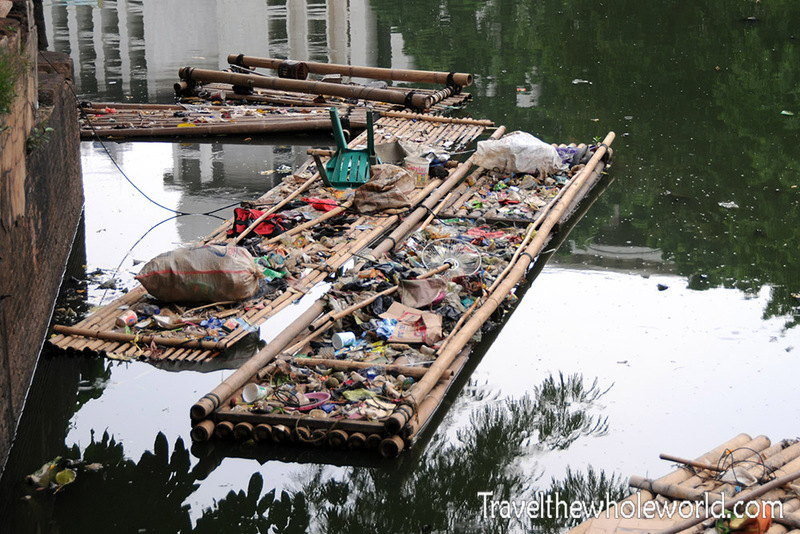 In another part of the city, some local might have found the most reliable means of transportation in Jakarta; rafts! 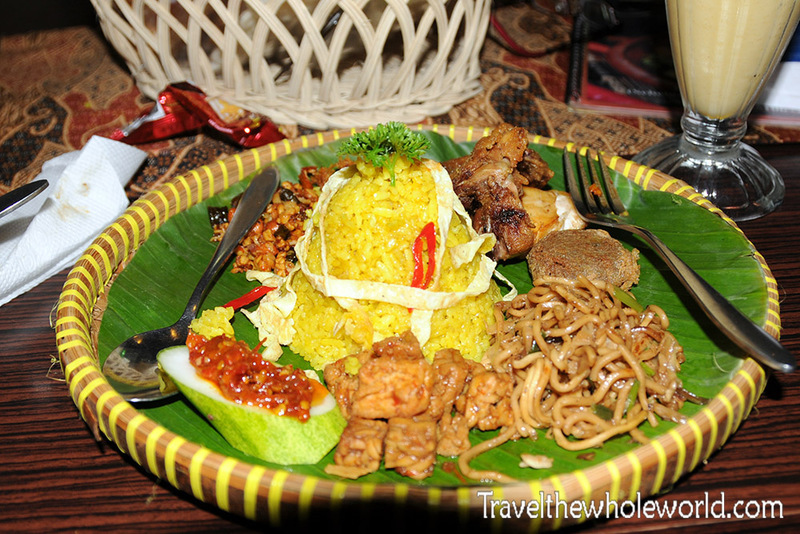 Indonesian food was one of my favorites in southeastern Asia. I almost never take photos of my dinner unless it happens to impress me. This small but fancy dinner was my best meal while in the city. I even had it complimented with a fruit smoothie, all for a reasonable price. I assume the small tower of rice was supposed to resemble one of Indonesia’s many volcanoes. 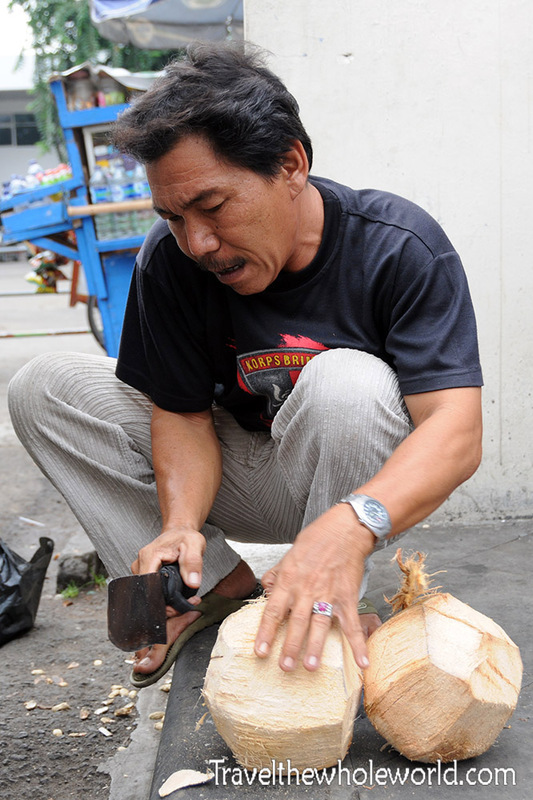 In a less fancy environment, I found a man outside selling coconuts and had a try. The street vendors selling the coconuts weren’t as fresh of course as the ones from the local supermarket where they keep theirs refrigerated. Still enjoyable and the cost was so little I got these nearly daily. 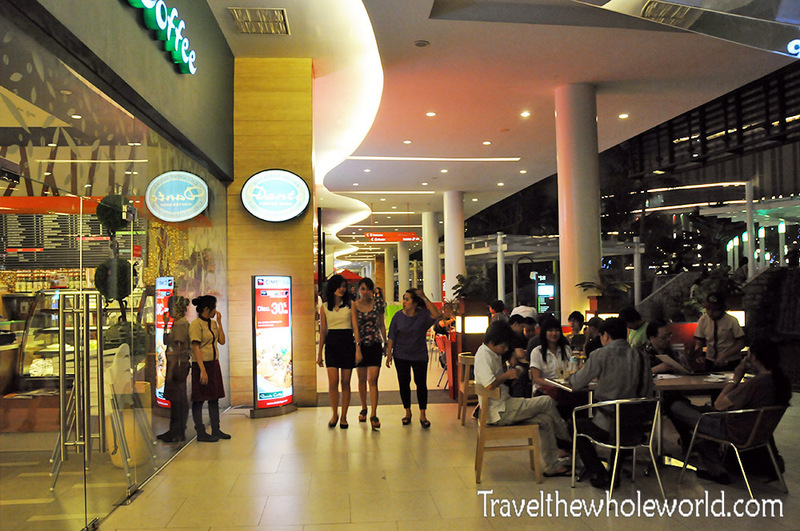 Downtown Jakarta seemed to be filled with endless shopping malls and nice restaurants. Despite the western influence here, I didn’t see very many foreigners in Jakarta. I was told by a local to visit Central Park. I had expected a city park, and figured both the name and design could have even been inspired by New York’s Central Park. 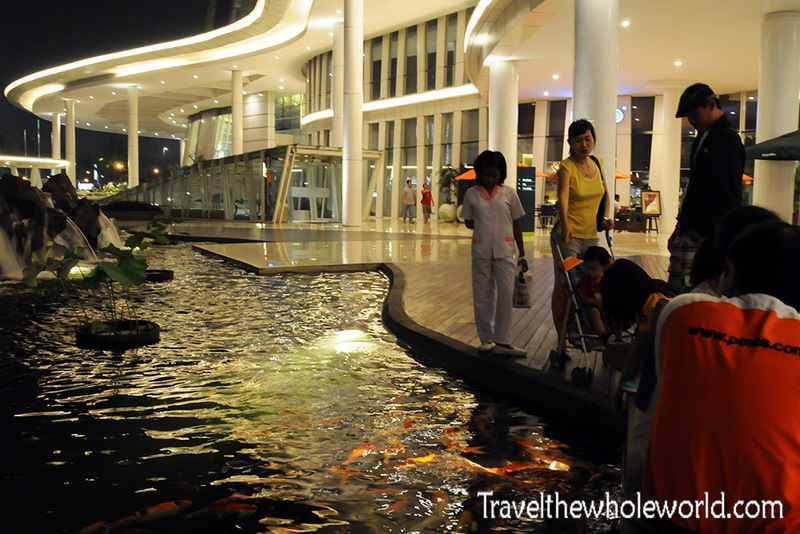 Instead of some natural scenery in the heart of the city, it turned out that Jakarta’s Central Park was a shopping mall. 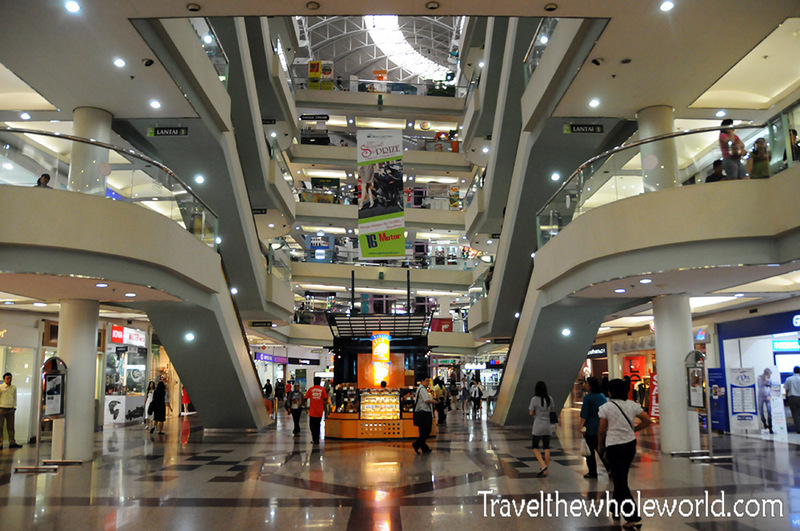 While I’d never seek out a shopping mall as part of my travel experience, they are so common in Indonesia that they are almost unavoidable. To be honest though, after my three week climb of Carstensz Pyramid in West Papua, I was a bit welcoming to the idea of malls and civilization, and enjoyed the first world options here! I have to admit though, the places were pretty nice and I’m glad to didn’t avoid them. 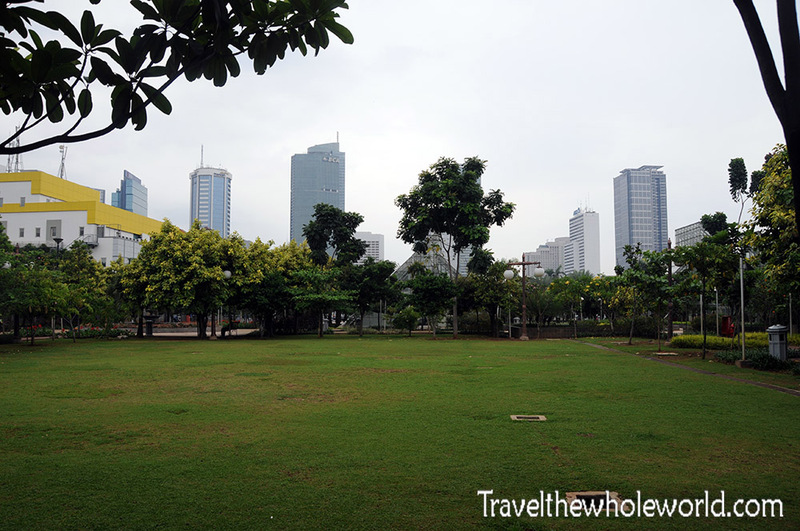 While Central Park was nothing but a shopping mall, I did later come across this relatively large city park somewhere in Jakarta. 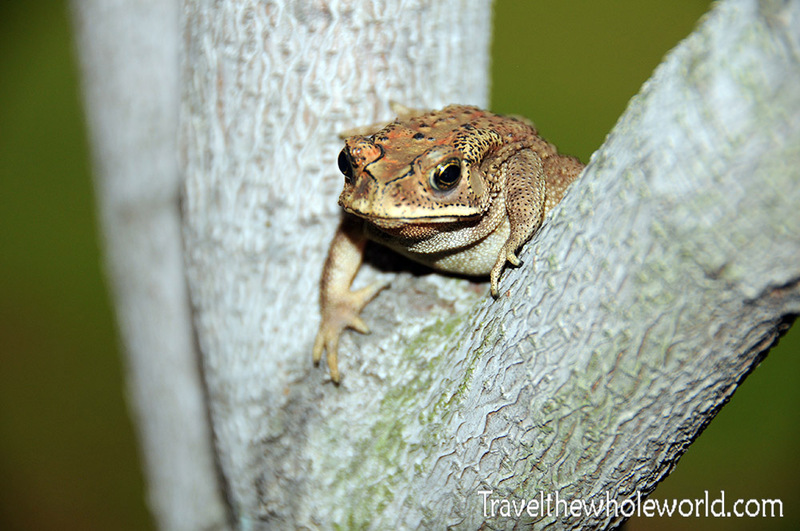 Despite the nice weather out there was no one in the park with the exception of this frog in the photo below. I assume that they hold events hear like any other city park so it probably has its crowded days. 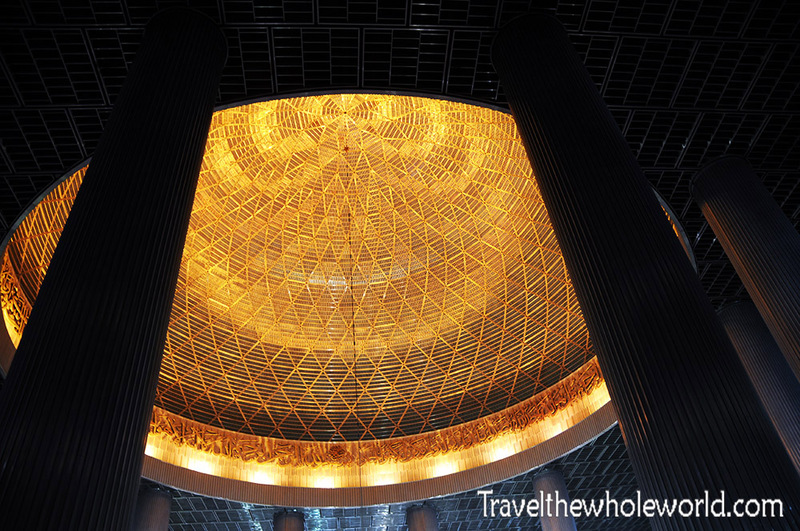 A destination that I did seek out was the Istiqlal Mosque; the largest in southeast Asia. A security guard who worked at the mosque gave us a tour explaining that there were only two larger mosques in the world. The other two mosques are located in Mecca and Medina, Saudi. 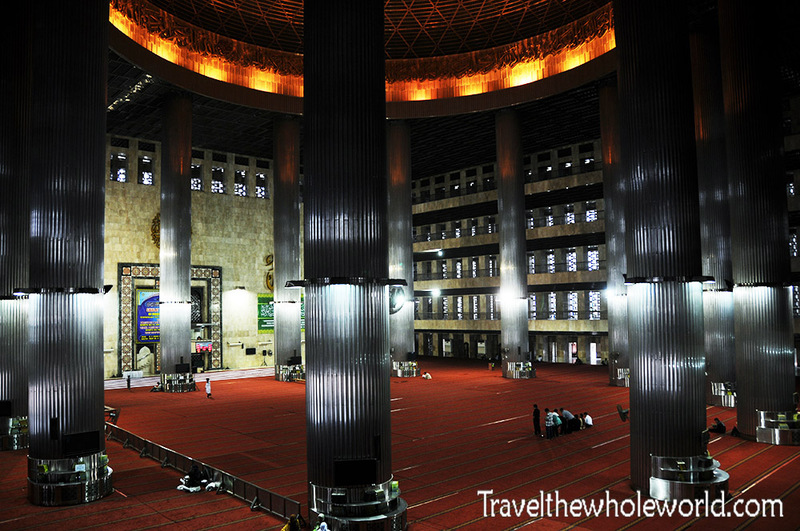 This makes the Istiqlal Mosque the largest in the world outside of Saudi Arabia! 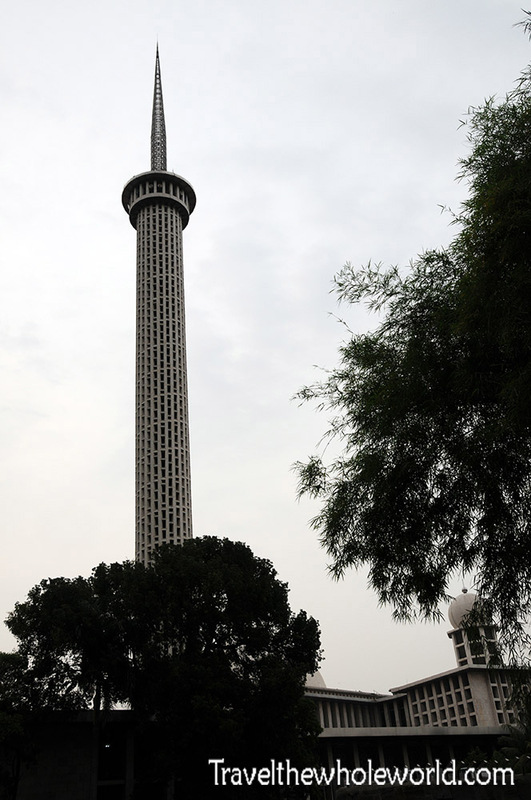 Above is one of the Istiqlal’s mosque’s towering minarets. The Istiqlal mosque is relatively new and opened its doors in the late 1970’s. I later found that the guard was partially right in describing this as the third largest mosque in the world. That claim is true only when considering Sunni mosques and in terms of capacity rather than physical size. The Istiqlal mosque can sever over 200,000 people and is known for its tolerance of other religions and visitors. Despite the mosque’s massive size I found other ones such as the King’s Mosque in Yemen to be much more beautiful. In the photo above you can see the the main worship area, and a photo of the mosque’s dome below. Outside of the mosque I met this random man who not only insisted on talking to me, but also wanted to take my picture. Very strange indeed. He seemed nice enough and never asked me for money or to meet again so I have no ideas what his intentions were. Maybe he simply liked taking photographs as I do! A place that is always crowded with people are some of the city markets. 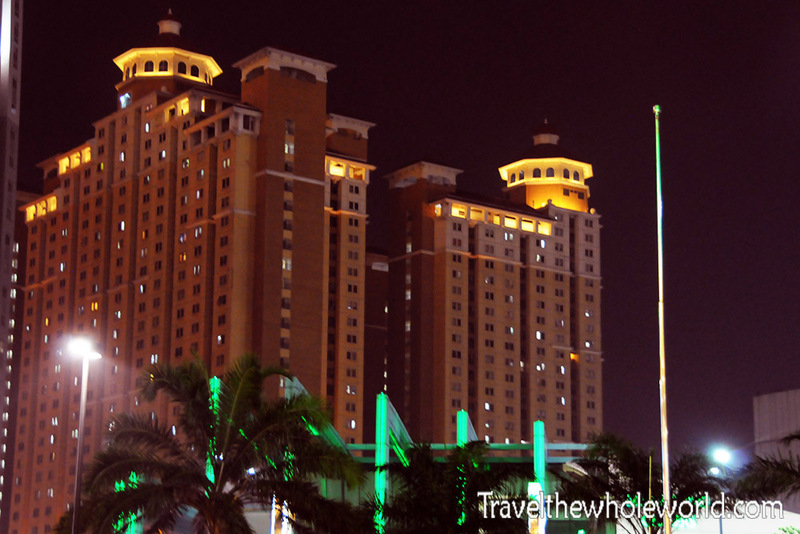 In between all the high rise buildings and shopping malls, you’ll still find plenty of the more traditional areas of southeast Asia. This large market above is where I bought some headphones. They were dirt cheap, but only worked for a single day :(. A very unique market that I found in a random place of Jakarta was one that sold pets. These weren’t your typical pets such as cats and dogs but small exotic animals. Because of the language barrier I wasn’t able to find out the cost of these guys since I was curious. 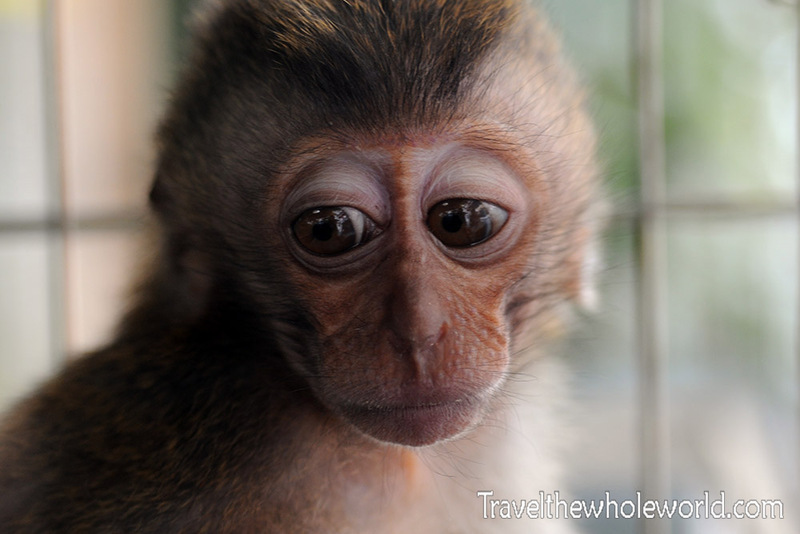 Mostly I felt sorry for them since they were in such small cages. 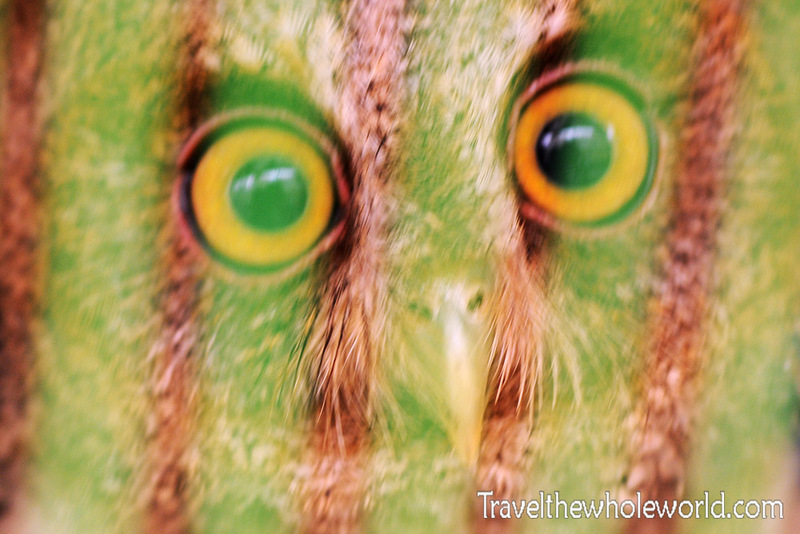 In addition to this monkey and owl, they also had some turtles, and other reptiles and small birds. 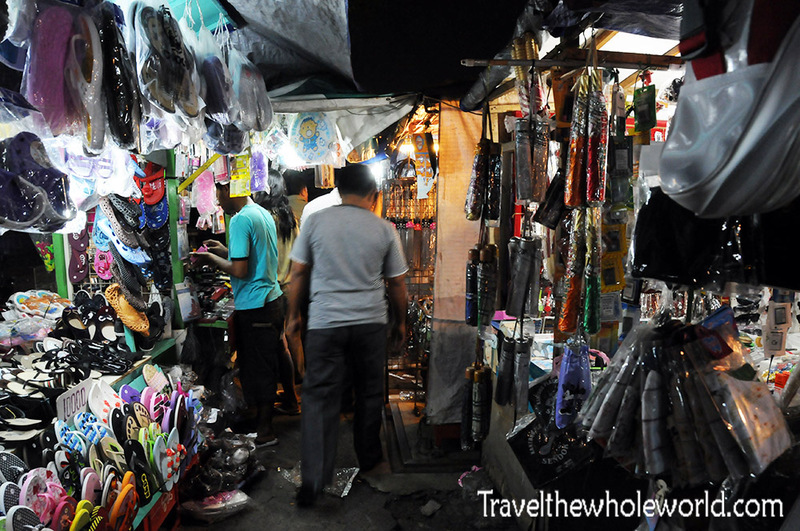 A famous market in Jakarta with higher quality goods is Jalan Surabaya, or Pusat Barang Antik. 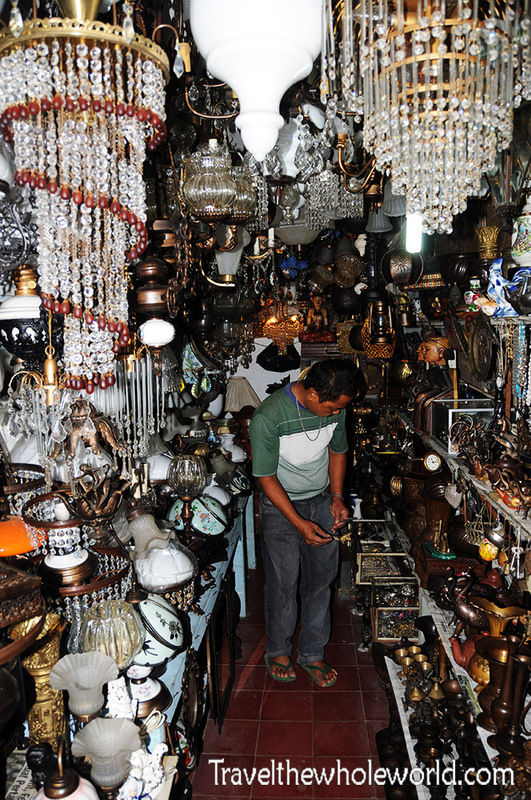 This antique market is filled with items from the early 20th century, as well as cultural souvenirs. Because Indonesia was colonized by the Dutch, many of the household items here are from the Netherlands, such as Dutch chandeliers, old coins etc. This neighborhood is located in an upscale part of Jakarta, so many expats and the wealthy decorate their homes from the antique market. 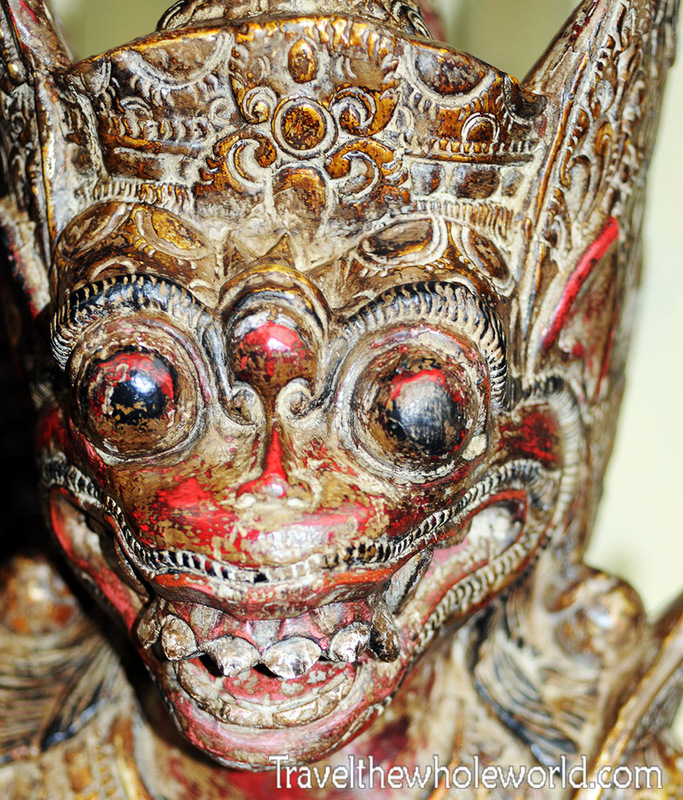 My favorite part of the market were these antique masks. They would have made great souvenirs and I made a mistake by not taking one back home with me. I liked both of these masks above and below equally. 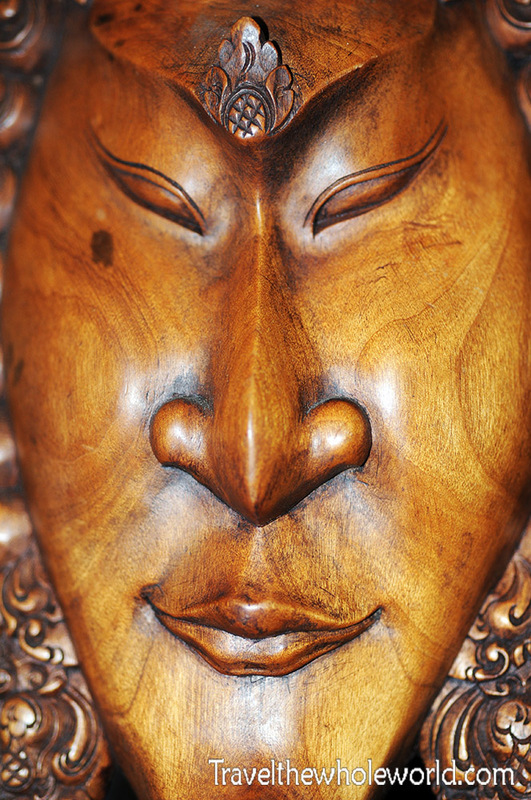 The mask above seemed more elegantly carved, but the one below attracted me since it appears older and is more detailed. One special stop I had to make in the same neighborhood of the antique market was to a small elementary school. Being from the United States, almost everyone I talked to in Indonesia asked me about president Barrack Obama. Not only was Obama president during my visit, he actually was in Indonesia at the same time for the ASEAN summit. Obama was especially respected in Indonesia because he spent several years of his childhood here. At the school that he attended, there is now a small statue dedicated to him. 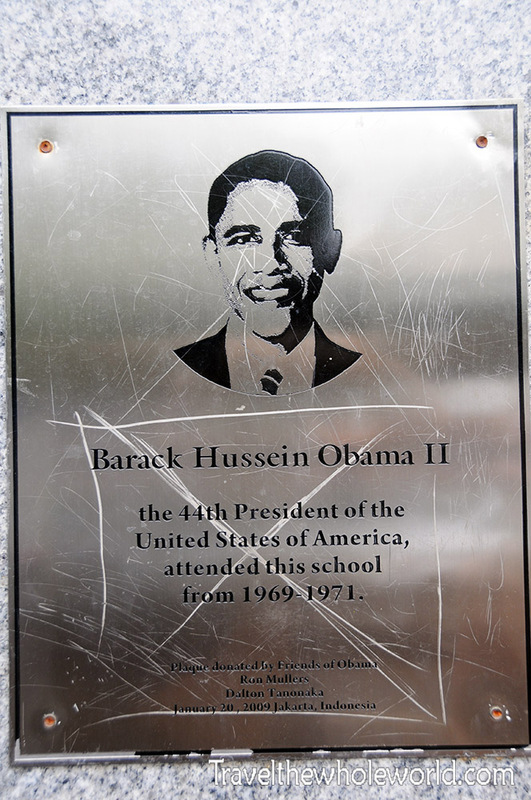 Obama attended the school from 1969 to 1971. I imagine for the kids going to the school today, it must be an inspiration that a US president once sat in the same classrooms!